The Imagine Surf Surfer Stand Up Paddleboard is the ultimate board for anyone just getting into stand up paddling. 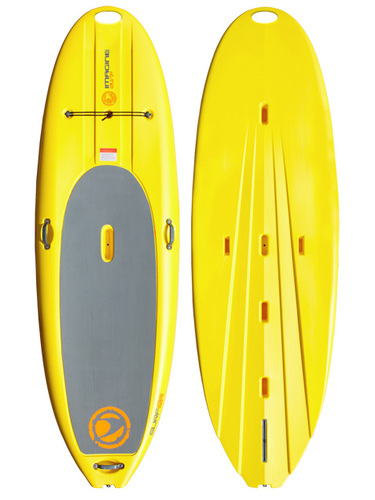 Wide, stable and easy, it will get you out there and onto the waves right now. As good as it is at the beach, the Imagine Surf Surfer Stand Up Paddleboard is great to cruise pristine lakes, and explore backwater bays and inlets. From yoga enthusiasts, to kids at play, or anyone simply wanting to tan out on the water, the Surfer brings it all. Polyethelene Construction makes it durable and stable. It comes in Lime, Orange, and Yellow. Made in the USA.